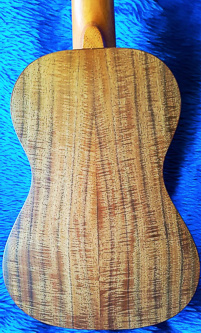 Super quality concert ukulele, made from solid Koa wood. Beautiful tone and action. Plays with perfect intonation. 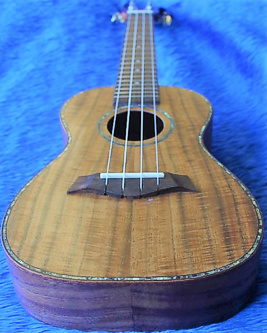 This hand crafted instrument previously sold for £600. 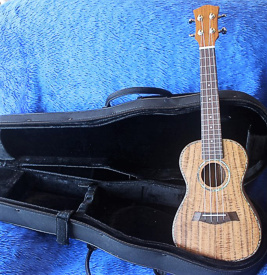 It is in "as new" condition and comes with very fine, plush lined, fitted case. 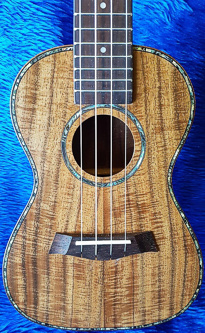 This beautiful instrument is now for sale at £190.